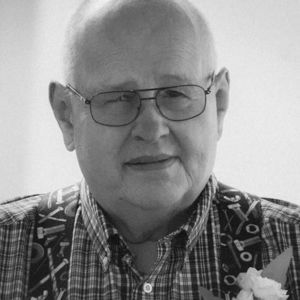 John C. Schwefel, age 72, of Fox Lake, died peacefully on Thursday, March 21, 2019 at Hillside Manor in Beaver Dam. The visitation will be at St. John's Lutheran Church in Fox Lake on Friday, March 29, 2019 from 11:00 a.m. until the time of the funeral service at 2:00 pm. Rev. David Nottling will officiate and interment will follow at Riverside Cemetery in Fox Lake. John Charles Schwefel was born on July 18, 1946 to Ralph and Gladys (Selchert) Schwefel in Beaver Dam, Wisconsin. On July 6, 1968, he was united in marriage, to the love of his life, Lois Longseth at St. Stephen's Lutheran Church in Beaver Dam. John operated his family's farm, which he was very proud of, being that it celebrated it centennial anniversary. He worked for the Fox Lake Correctional Institute as the Master Mechanic. John was a volunteer firefighter for many years' and was a past president of the Fox Lake Snow Blazers. He was a member life member of the Civil Defense and of the Dodge County Antique Club. John was an active member of St. John's Lutheran Church in Fox Lake. John is survived by his wife, Lois of Fox Lake; daughters, Wendy Schwefel of Fox Lake, Lynn (Randall) Haima of Cambria; grandchildren, Kassandra Haima (fiancé, Matthew Voss), Valerie (Christopher) Terpstra, Joshua Haima (fiancée, McKenzie Winter), and Douglas Haima; great grandchildren, Khloe, Lydia, Paityn and Elliott; sister, Ann (John) Binotto of Beaver Dam; nieces and nephews; other relatives and friends. He was preceded in death by his parents; his daughter, Susan Will; infant grandson; brothers-in-law, Richard Longesth, Gary Wunrow, and Duane Longseth; parents-in-law, Carl and Anna Longseth; and nephew, Timothy Longseth.